Winnfarms Chiricana (partbred Paso Fino as a 2 year old) is displaying the Paso Fino tail set called the "bandera" (= "flag") usually seen when being ridden in gait but this time when being challenged by the cow! 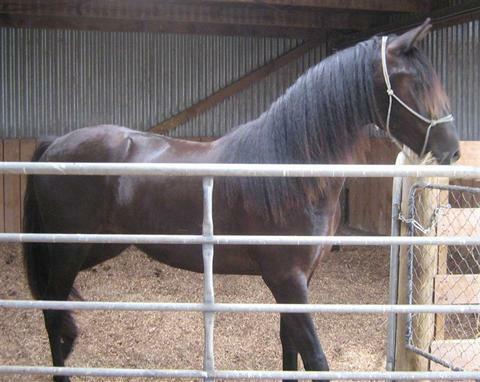 Marti's Spanish Jennet Captain Kidd was beautifully gaited. 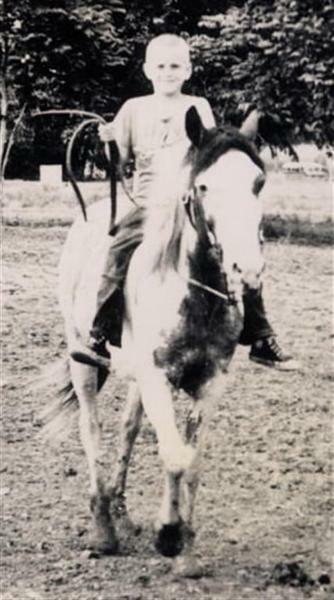 Here he is being ridden by Conrad Ireland at Fort Kobbe Riding Club in Panamá in the 1960s. 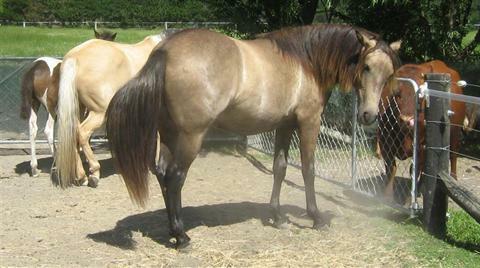 Captain's coat colour was strawberry roan tobiano pinto. 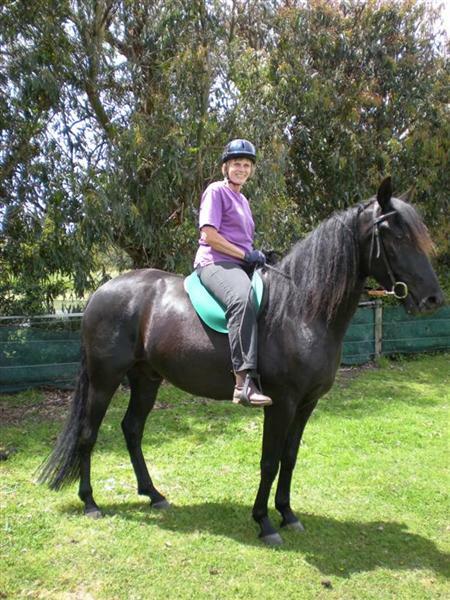 This gelding was an absolute pleasure to ride! These are all varieties of gaited horses from Panamá and represents the Pacific Saddle Club's relay racing team. 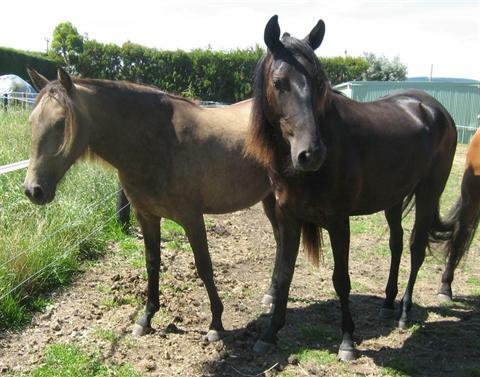 Two Peruvians with blazes, Paso Fino partbred 2nd from left and dark bay mare is a singlefooter. 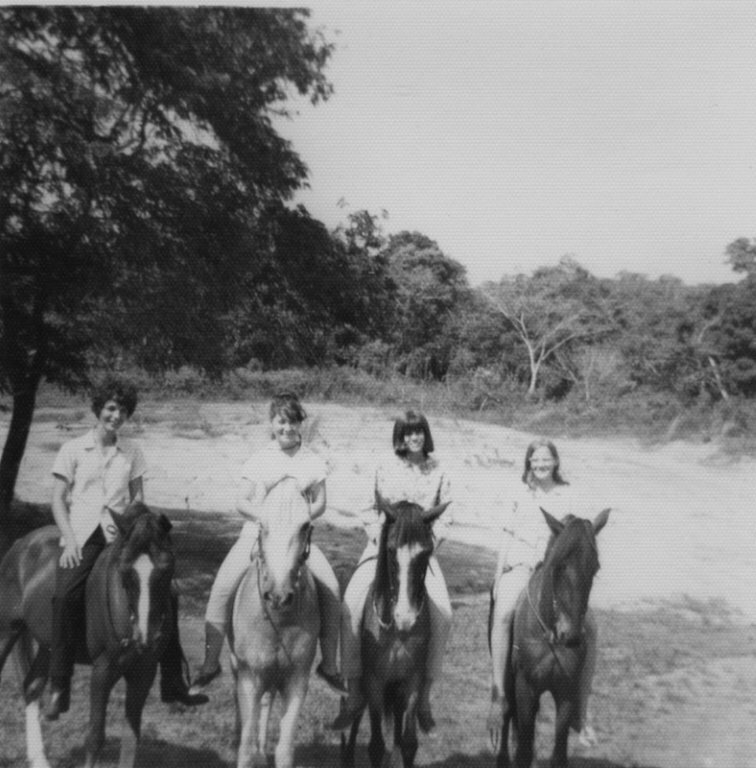 Team members are from left Joan Sartain Freesh, Sorrel Brown, Marti Ireland Winn and Twila Darden Wilson. We used to win too!